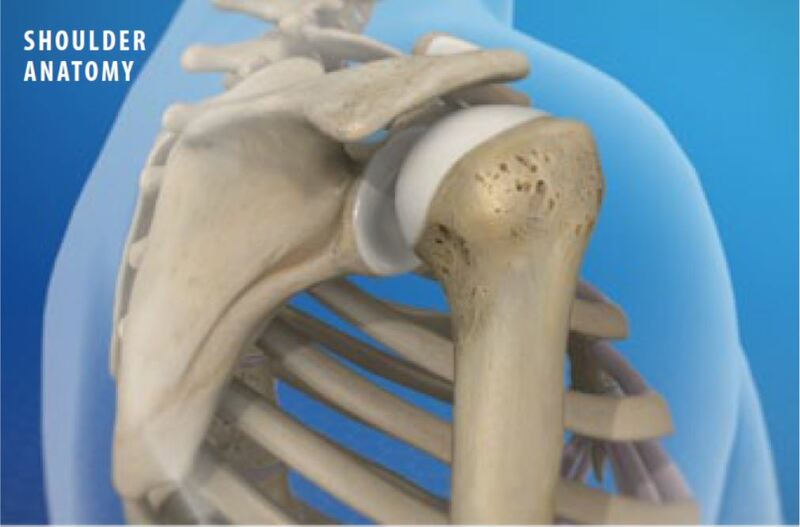 The shoulder is a complex structure that is not as stable as other joints. It is prone to injuries such as dislocation and separation. And because it experiences so much wear and tear, osteoarthritis is a common problem in the shoulder. Three bones are found in the shoulder. The humerus is the large bone of the upper arm. The scapula, commonly called the “shoulder blade,” is a flat, triangular bone at the rear of the shoulder. It has two large protrusions, the acromion and the coracoid process. And finally, the clavicle, often called the “collarbone,” is a long, thin bone positioned between the scapula and the sternum. The glenohumeral joint is where the humerus meets the scapula. This is a ball-and-socket joint. The “ball” is the head of the humerus. The “socket” is the glenoid, a shallow cavity in the scapula. The surfaces of the ball and the socket are covered with a tough, smooth layer of articular cartilage. A ring of cartilage called the “labrum” surrounds the glenoid. 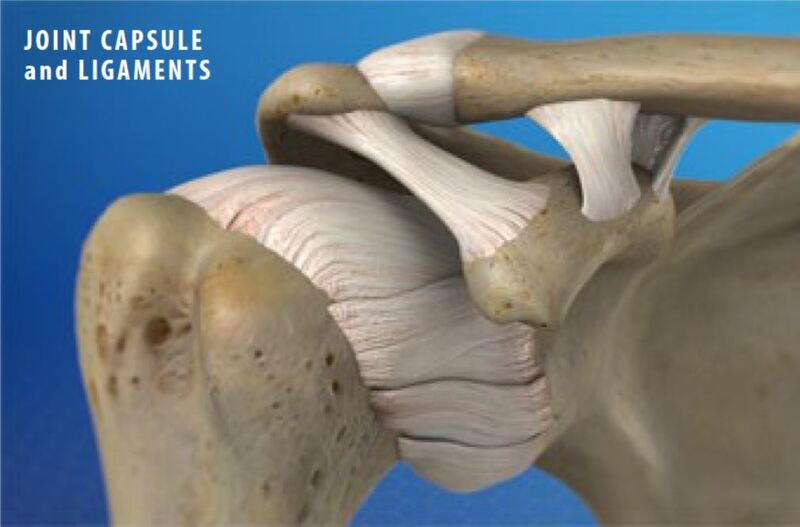 The joint is surrounded by a sac called the “joint capsule” and the glenohumeral ligaments. 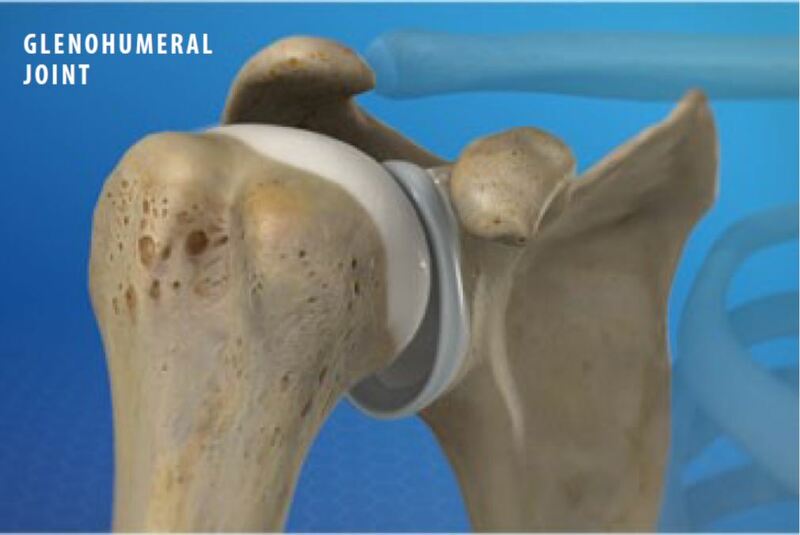 The glenohumeral joint allows the arm to be raised and rotated. The acromioclavicular joint, also called the “AC” joint, is where the clavicle meets the acromion of the scapula. The ends of these bones are covered with articular cartilage. 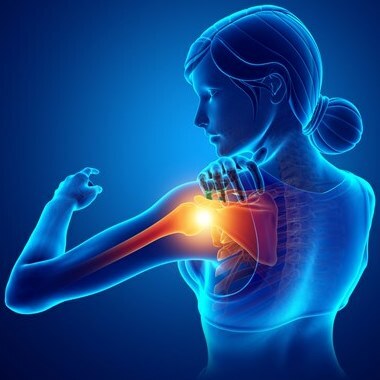 They are connected by the acromioclavicular ligament and are stabilized by the coracoclavicular ligament. The AC joint plays a role in lifting the arm. The sternoclavicular joint is where the other end of the clavicle meets the sternum. It allows the clavicle to move, and plays a role in thrusting the arm and shoulder forward. The rotator cuff is a group of muscles and tendons. These surround the glenohumeral joint. They give the shoulder strength and stability. 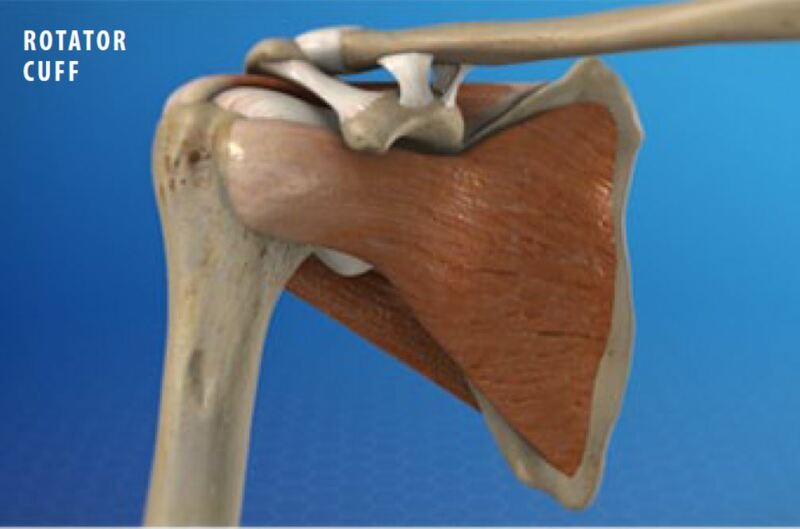 Between the rotator cuff muscles and the larger surrounding muscles lies the subdeltoid bursa. This pocket of lubricating fluid allows the muscles to move freely.